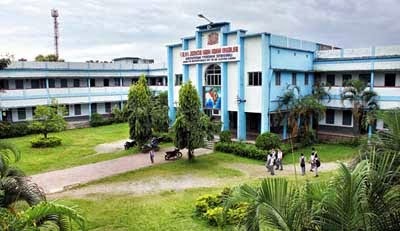 The teachers, guardians, present and former students of Siliguri Hindi High School will take out a rally on February 19 to demand that the institution immediately start the admission process, which has been stalled for more than a month. The organisers said the rally would start from Mahananda Bridge on Hill Cart Road and end on the Siliguri court premises where they would submit a memorandum to Siliguri subdivisional officer Deepap Priya P.
"Around 2,000 local people are expected to take part in the rally. We will submit a memorandum with mass signatures to the SDO. We will request her to start the admission of the new students and re-admission of the old students with Rs 240 as the annual tuition fees immediately. The reinstatement of two contractual employees is another demand. The school employees have been on a sit-in protest since February 6 demanding admission and reinstatement of their colleagues but there has been no intervention on part of the state government," said Sandipan Bhattacharya, the president of the Siliguri Hindi High School Guardians' Committee.